Soft Cases – Royal Case Company, Inc.
Soft cases are typically manufactured by sewing contractors, which are companies that provide commercial sewing services and thus produce many uniform soft cases that end up on business shelves and are sold to consumers. Either sewn by hand or by machine, soft cases are often manufactured as custom cases which can be made to fit certain sizes and use specific materials to fit the particular consumer needs. 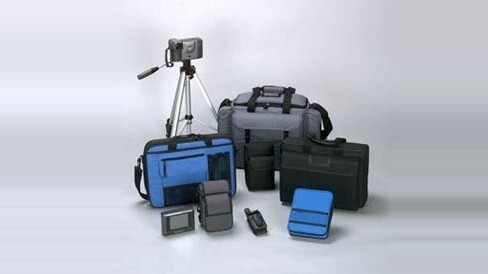 As a result, soft cases can be made to fit almost any application and are widely used in diverse industries such as: electronics, for protective casing of electrical devices such as computers or digital cameras; industrial manufacturing, in which soft cases are used for the packaging of a multitude of finished products; construction, in which they are often used in order to carry power tools; music, for the carrying of musical instruments ranging from guitars and drum sets to tubas and trumpets; and commercial, in order to package many different retail items including clothing, bedding and other garments. There are many different ways in which soft cases can be produced, and the method chosen can depend upon the material being used, the quantity desired and many other factors. It is rare that manual, by-hand sewing is used for any large quantity, thus industrial applications require that soft cases by manufactured by automated means. The three basic types of industrial sewing machines are straight stitch, serger and blindstitch. Industrial machines differ from residential machines in many ways including being significantly faster, able to sew much heavier fabrics and sew through more layers. In addition, the industrial sewing machines have larger motors designed to run continuously throughout the whole day and many require little to no manpower or manual operations. In order to be customized, sewing cases may at times be embroidered, which refers to a decorative embellishment made by stitching thread by a needle. Custom embroidery on soft cases can include graphic or descriptive text and images, and often used by companies and businesses that want to print their logo on their products to promote recognition of their corporate name. While the majority of industrial applications call for hard cases, soft cases are a less expensive option that allow for ease of carrying if not providing the level of protection offered by hard cases. 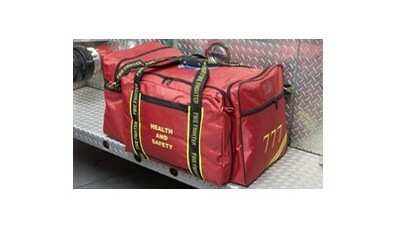 Soft Cases Soft cases are carrying cases that have been manufactured from non-rigid materials and provide less protection than hard cases. Some common materials used in the manufacturing of soft cases are vinyl, leather, canvas, plastic, suede, felt, corduroy and nylon.